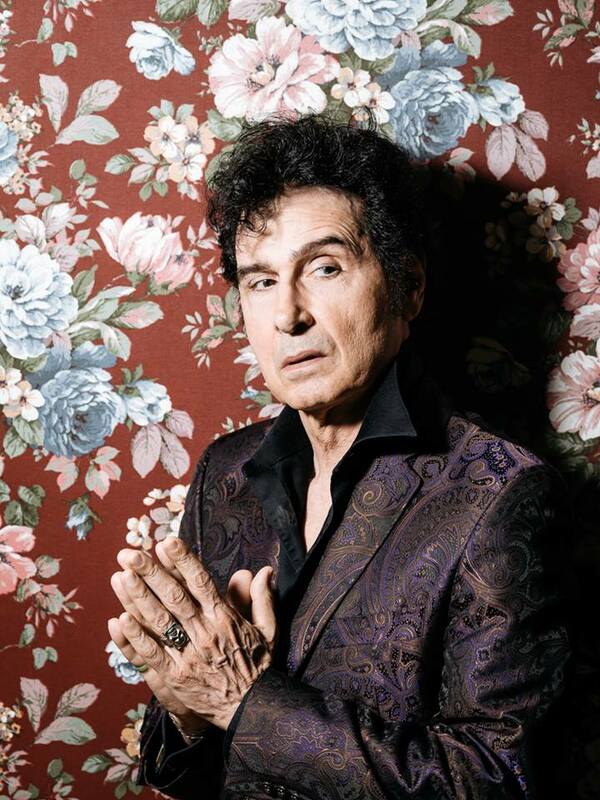 Born in Philadelphia and raised in Arkansas, Tav Falco moved to Memphis, Tennessee in 1973 and introduced himself to the city’s creative community as a filmmaker and performance artist while supporting himself with a variety of odd jobs. While making documentary films on blues artists in Tennessee and Mississippi (including a piece on R.L. 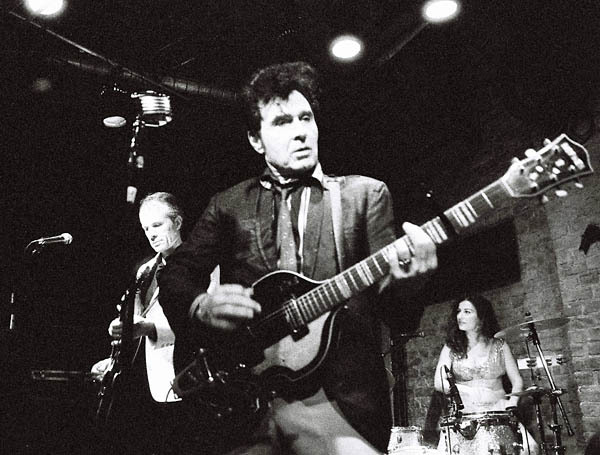 Burnside shot at his legendary juke joint in 1974), Falco was inspired to pick up the guitar, though his first on-stage performance with the instrument involved him destroying a six-string with a chain saw. 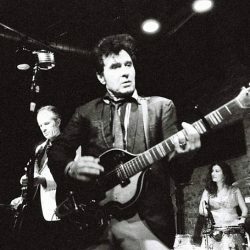 In 1979, Falco put together the first version of his band the Panther Burns (named for a famous Tennessee plantation), a group whose revolving membership included Alex Chilton and James Luther Dickinson in its early incarnations. In 1981, Falco recorded his first album, Behind the Magnolia Curtain, which also included performances by Othar Turner & His Fife and Drum Band. The album won favorable critical notices, and Falco relocated to New York City, where he brought his frenetic roots music to the Big Apple’s then-thriving no wave scene, which led to Falco’s first and only major-label release, Blow Your Top, a 1982 EP issued by Chris Stein’s Animal label. Throughout the ’80s and ’90s, Falco began dividing his time between Europe and the United States, and released a slow but steady stream of recordings with shifting Panther Burns lineups while holding down another career as an actor. He was featured in small roles in Great Balls of Fire, Wayne County, Downtown 81, and Highway 61. Panther Phobia Panther Burns issued their debut recording for the new century, Panther Phobia, in 2000. The group played festivals throughout the century’s first decade, most notably at the It Came from Memphis series at the Barbican Centre in London in 2005, 2006’s ArthurNIGHTS festival at the historic Palace Theatre in Los Angeles, 2007’s Fondation Cartier in Paris, 2008’s headlining performance at the Strade Blu Festival in Tredozio, Italy, 2009’s Alternatilla Festival in Mallorca, Spain, and the Barreiro Rocks Festival in Lisbon in 2010. Falco also studied the tango — the music has been a lifelong obsession for him — in both Argentina and France, culminating in his role as a tango dancer in the French film Dans le Rouge du Couchant in 2003. In addition to acting in films, Falco produced and directed a number of short works, five of which were added to the official archive in Paris’ Cinematheque Française in 2006.